… tell me, what is it you plan to do with your one wild and precious life? What are we doing here…? It all began on Saturday last week, bright and early. We had intended to head off on Sunday originally, because it would be the second day of the big end-of-Ramazan holiday, and we’d hoped that travelling would be easier that day with less traffic and fewer people trying to take ferries, etc. However, a friend of mine and her husband, Katherine and Alper, were leaving Istanbul early on Saturday morning by car and heading to Alper’s family’s summer home near Eceabat, a small town of about 5,000 people on the eastern shore of the Gelibolu Peninsula, which was close to where Richie and I were planning to go ourselves. They invited us to come along for the ride and to stay the night in the house with them, which is what we did. The traffic was heavy enough, and I guess the trip to Eceabat took about twice as long as it does on a quieter day. 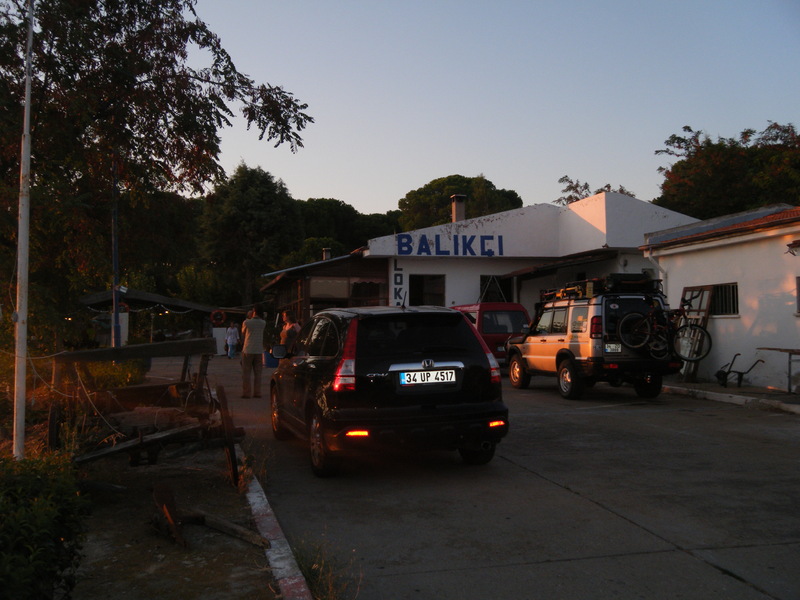 There were so many people trying to get to wherever they were going, and especially near the end of our trip, there was a huge amount of congestion around the various ferry points with people trying to get over to the Anatolian side of the Dardenelles. Cars were lined up for kilometre after kilometre, and we were really lucky we weren’t trying to cross over that day. 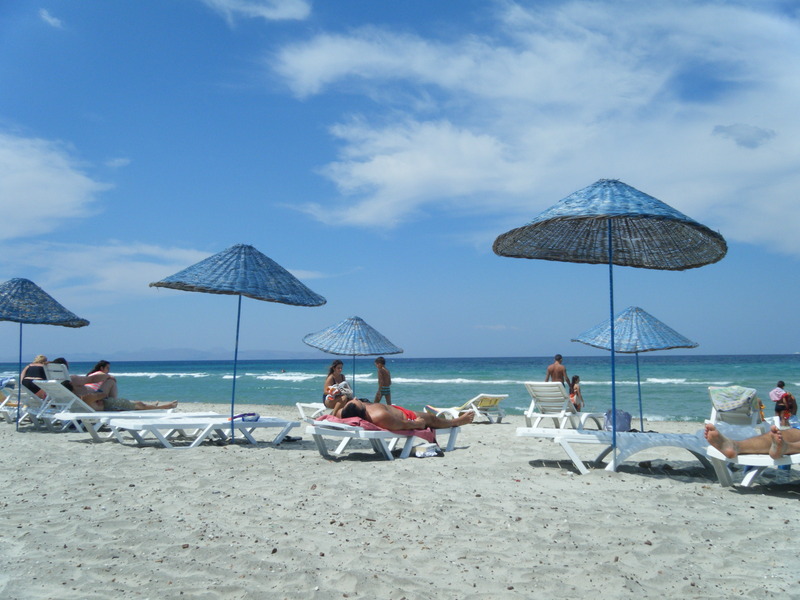 Instead, we stayed in a little ‘holiday neighbourhood’ just about 5 minutes walk from the Aegean Sea. The house was pretty basic in it’s amenities, but it was a fun and comfortable place to stay, with beds and couches for Liam to jump around on, a lovely garden with a canopy of grapes growing as well as plum and fig trees. We sat in the garden in the evening, enjoying the cooler air outside, and most importantly, we got to go swimming!!! 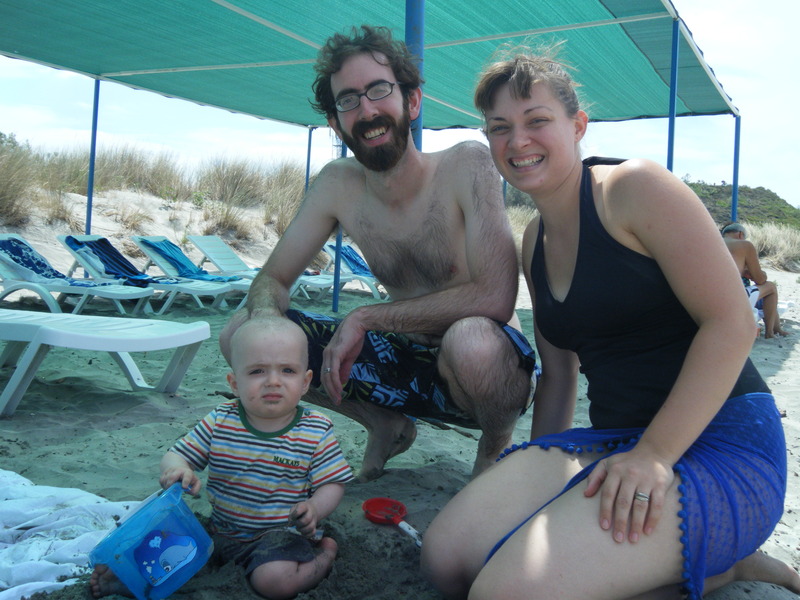 It was Liam’s first time playing in the sand too, and we gave his toes a little dip in the water lapping up on the sandy shore. He wasn’t too sure about it, but he didn’t cry or fuss either. It was just gorgeous. After our evening swim, we all headed by car to a local restaurant by the docks. 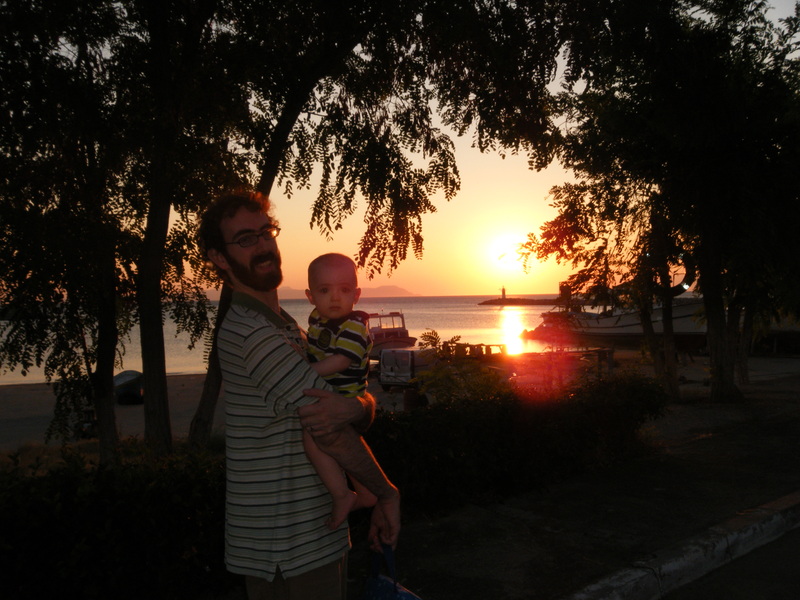 We had a seafood feast while the sun went down over the sea and we could see the cars loading up on one of the ferryboats nearby. We had squid and seabass dolma, fresh salad, roasted aubergine/eggplant meze, fresh melon with beyaz peynir (feta-like white cheese), and skewers of swordfish and something which translates as ‘tongue fish’ for the main course, all washed down with some rakı, the signature Turkish anise-flavoured spirit. It was delicious. Liam entertained himself by chewing on bread, and acting a little like a wild animal, which was pretty funny. I Wonder While I Wander Click here to check out my new blog! Back Home Again Stay-at-home Catholic wife and mother of two with one in the oven. Living in Chicago, more or less. Loving my family and all my blessings. Writing for fun, posterity, and therapy.